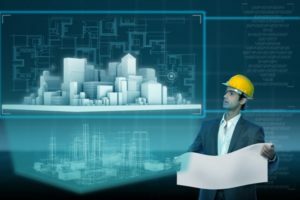 Why Virtual Design is Right for You? It is a digitized world! Gone are the days of conventional methods. Now the world demands for something new and to give it something new, you need to keep innovating yourself otherwise you will be the another victim of marketing myopia. There are people who live in this digitized world but still using the obsolete method of attracting the customers. Be it about acquiring new customers or it is about retaining the old ones, you need to give them something to think about. You are aware of the fact that the change is the only constant thing. If the change is the only constant thing then you can’t expect to retain your old customer neither you can think about acquiring the new one by using methods that are on the edge of extinction. Technology keep on gifting us something new, it is us who don’t avail it. Another cool gift of technology is the virtual design. There are many companies who are offering the virtual design and construction services. Now do you think that those companies are wasting their time on the virtual design? If you think so then you are still living in the Stone Age. Do you want to lose customers? When your competitor offers your clients something meaningful then do you think that the customer will still stay with you? No they won’t! You need to remember one thing, to retain your customers you need to keep innovating. Suppose you are into construction business and a client comes to you and tell you about the building he wants you to develop. Now what will you do? Will you demonstrate about the building on call but asking him to create illusions into his mind? Or will you draw a rough map to show him this how your building will look like. Both approaches don’t seem to work here. You need to provide him with the virtual design. Previous Previous post: Reasons why you should get a home maintenance plan?